Did you know that sitting too much is bad for you? Of course you do. But how much is too much and what happens when we let ourselves sit for about eight hours per day? Turns out, it’s a pretty serious health risk when we sit for too long. Heart Disease. Muscles burn less fat and blood flows turns sluggish during a long sit. That means, fatty acids can clog your heart. Colon Cancer. 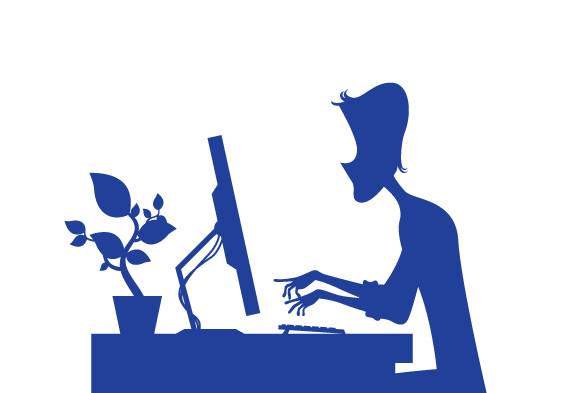 Studies have linked sitting to a greater risk for colon, breast and endometrial cancers. The reason is unclear, but one theory is that excess insulin encourages cell growth. Mushy Abs. When you stand, move, or even sit up straight, abdominal muscles keep you upright. Tight Hips. Flexible hips help keep you balanced, but chronic sitters rarely extend the hip flexor muscles in front that they become short and tight, limiting range of motion and stride length. Limp Glutes. Sitting requires your glutes to do absolutely nothing and they get used to it. Enough said. Foggy Brain. Moving muscles pump fresh blood and oxygen through the brain and trigger the release of all sorts of brain-and mood-enhancing chemicals. When we sit for a long time, everything slows, including brain function. Sore Shoulders and Back. The neck doesn’t slouch alone. Slumping forward overextends the shoulder and back muscles as well, particular the trapexius, which connects the neck and shoulders. Inflexible Spine. When we move around, soft disc between vertebrae expand and contract like sponges, soaking up fresh blood and nutrients. But when we sit for a long time, discs are squashed unevenly. Poor Circulation in Legs. Sitting for long periods of time slows blood and circulation, which causes fluid to pool in the legs. Problems range from swollen ankles and varicose veins to dangerous blood clots. Soft bones. Weight-bearing activities such as walking and running stimulate hip and lower-body bones to grow thicker, denser and stronger. 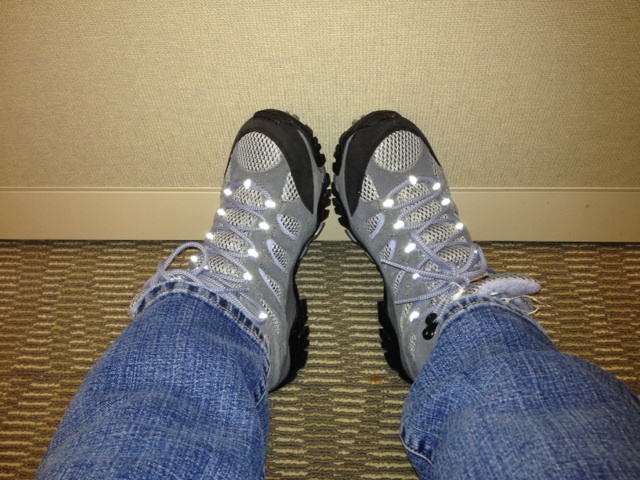 For Christmas, I got a new pair of hiking boots. I eagerly put them on—a great match with my red and white penguin Christmas pajamas. I tromped around the house, looking forward to the summer months when I could put them to good use. When Christmas was over, I placed the boots back in their box and shoved them under the bed. And there they sat. And there I sat, until, while watching one of those crazy infomercials for the latest and greatest exercise program, a thought came to me—I didn’t need to wait until good weather to go hiking! I immediately got up, pulled my boots out from under the bed, and slipped them on. 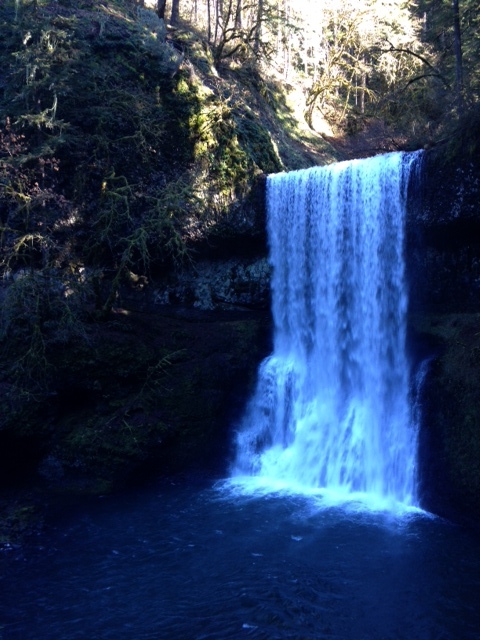 I tromped back into the living room and declared to Brian (the love of my life), that next weekend, on our first planned getaway of the year, we were going to stop at Silver Falls to go hiking. Stunned, he reached out and put his hand to my forehead, to see if I was feeling okay. And that’s how my 2014 healthy goal was born—doing something I love, with people I love. How hard is that? Hike one—check! The icy trails at Silver Falls. January is Cervical Health Awareness month and we’re encouraging women to learn how they can protect themselves from HPV (human papillomavirus) and cervical cancer. Did you know that about 79 million Americans currently have HPV, the most commonly sexually transmitted disease? Did you also know that HPV is a major cause of cervical cancer? Cervical cancer is preventable with regular screening tests (called Pap tests) and follow-up care. With most insurance plans, these services are absolutely free with any plan. Check with your insurance plan to make sure. Taking small steps can help keep you safe and healthy. Click here http://www.cdc.gov/cancer/cervical/?s_cid=ecard_2009CervicalCancer to learn how you protect yourself from HPV and Cervical Cancer or talk to your healthcare provider today. Because, your health matters.